HBH vs MLR Dream11 Team Prediction of BBL: Preview | Big Changes..?? Hello and Welcome to our preview for Hobart Hurricanes vs Melbourne Renegades match. We are covering HBH vs MLR Dream11 Team Prediction, Preview and Probable Playing XI for the Big Bash League 2018-19 match. The match is to be played at Bellerive Oval, Hobart. Hobart Hurricanes are on the top of points table with nine wins and three losses. However, They lost their last match to Adelaide Strikers by 7 wickets. Batting first, Matthew Wade played another brilliant knock of 88 runs in 54 balls to lead the team to a total of 169 but could not defend it. Jofra Archer was the only positive from bowling department. They will hope to get a victory tomorrow and guarantee a top position in points table. Melbourne Renegades are third on the points table with eight wins and five losses. They won their last match against Sydney Thunder by 27 runs. Batting first, Their top order failed to perform but a good knock of 36 runs from Nabi and a 22-ball fifty from Cameron Boyce led them to a respectable total of 140. Kane Richardson took three wicket-haul while Boyce took two wickets to successfully defend the total. They will hope to defeat Hurricanes tomorrow and enter the semi-finale with momentum on their side. HBH vs MLR, 52nd Match, Big Bash League 2018-19. Tom Cooper, Dan Christian (vc), Jack Wildermuth, Mohammad Nabi, Cameron Boyce, Kane Richardson, Sam Harper, Mackenzie Harvey, Jon Holland, Aaron Finch(c), Harry Gurney, Chris Tremain, Marcus Harris. They have declared 13-men squad for the match with two changes. Riley Meredith and Qais Ahmad replace Jarrod Freeman and James Faulkner. Faulkner has been rested for one match while Meredith has recovered from illness and will replace Faulkner tomorrow. Young Aghani spinner Qais Ahmad is signed for the remaining season and is set to debut tomorrow replacing Jarrod Freeman in the playing XI. They have also announced 13 men squad for the match. Marcus Harris returns to the squad following his national commitments and replaces Beau Webster in the squad. Anyone among Mackenzie Harvey and Jack Wildermuth can play. Chances of Harvey are more. Aaron Finch and Marcus Harris will open the innings. Sam Harper and Tom Cooper will follow them. Mohammad Nabi, Dan Christian and Cameron Boyce will play the role of allrounders. Kane Richardson, Harry Gurney and C Tremain will be the key pacers along with Dan Christian while C Boyce and M Nabi will lead the spin attack. Matthew Wade (c and wk), D’Arcy Short, Caleb Jewell, Ben McDermott, George Bailey, Simon Milenko, Jofra Archer, Clive Rose, David Moody, Qais Ahmad, Riley Meredith. Aaron Finch (c), Marcus Harris, Sam Harper (wk), Tom Cooper, Mohammad Nabi, Dan Christian, M Harvey/Jack Wildermuth, Cameron Boyce, Kane Richardson, C Tremain, Harry Gurney. 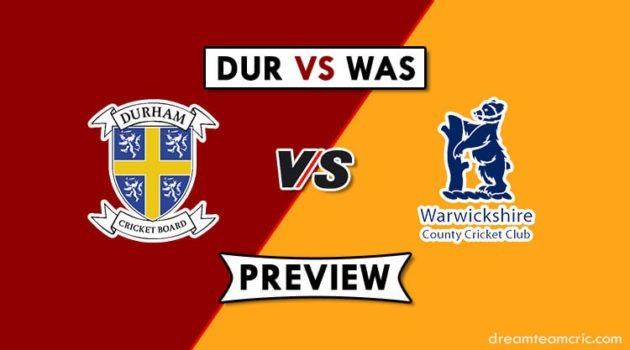 Captain and Vc choices: D’Arcy Short, A Finch, M Wade, M Harris, M Nabi, D Christian, J Archer, K Richardaon. 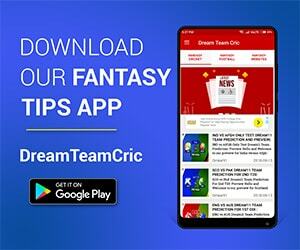 If you liked HBH vs MLR Dream11 team prediction, then follow us on Twitter for Latest Cricket News and Grand League Teams.